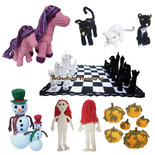 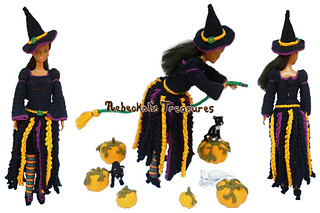 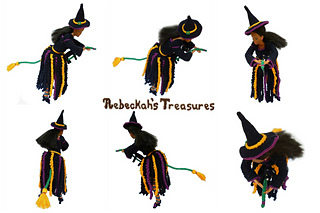 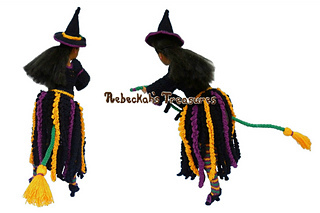 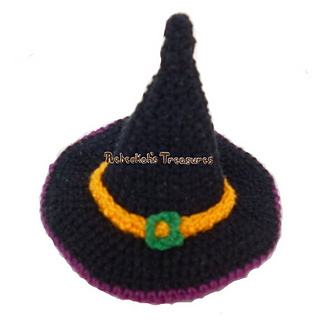 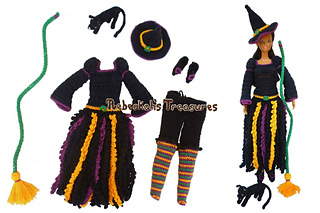 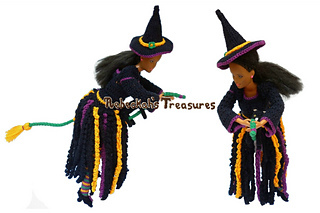 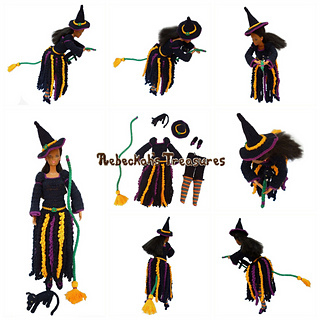 Get your favourite fashion doll ready for a spooky halloween with this witch crochet pattern! 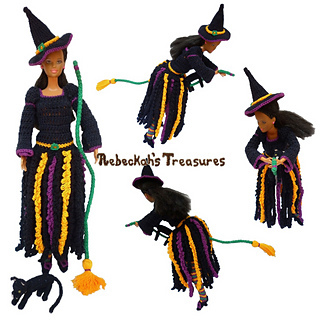 This pattern includes instructions on how to crochet all of the pieces you see pictured - Dress, Knickers & Stockings, Hat, Heels, Broom, and Kitty. 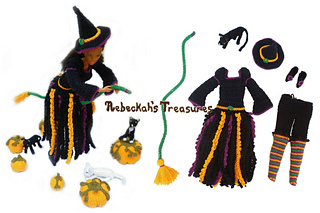 I used crochet cotton thread #10 and a 1.7mm hook to crochet all of the pieces except for the cat where a 1.05mm hook was used instead. 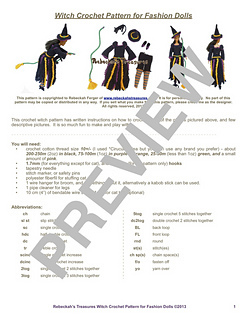 NOTE: Pumpkins are NOT included in this pattern. 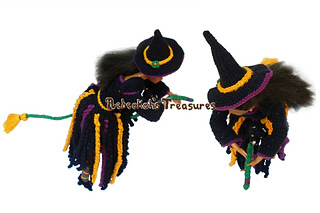 See Crochet Pumpkins Galore! 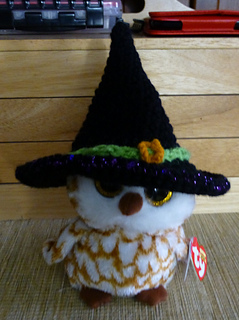 for pumpkin patterns.